From the outside, it looks like another historic edifice in Rio's rundown city center. Inside, however, is a multi-tiered library so spectacular, so ornate, that stunned visitors feel like they've walked into a movie fantasy set. "In 'Harry Potter' we've seen libraries like this!" exclaimed Didier Margouet, a 57-year-old French tourist, looking around at the shelves of leather bound books climbing the walls under an octagonal skylight of red, white and blue stained glass. "Yes, like in the movies," agreed his partner, Laeticia Rau, 50. 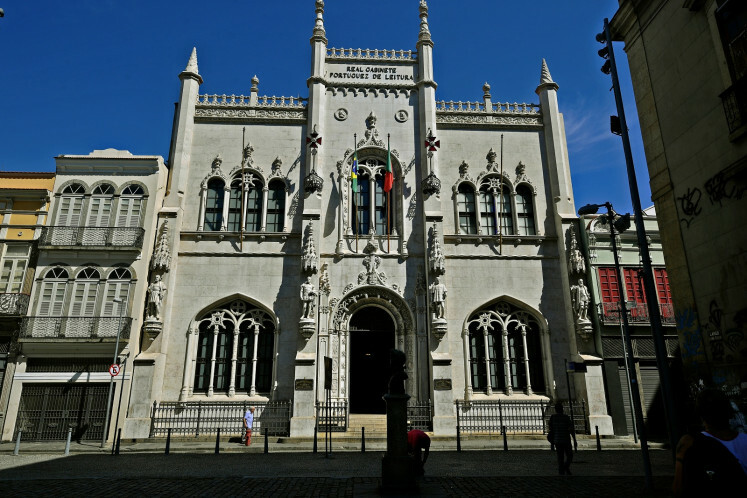 The Royal Portuguese Reading Room -- the Real Gabinete Portugues de Leitura in Portuguese -- was built in the late 19th century under the stewardship of an association of Portuguese migrants that still cares for the institution. 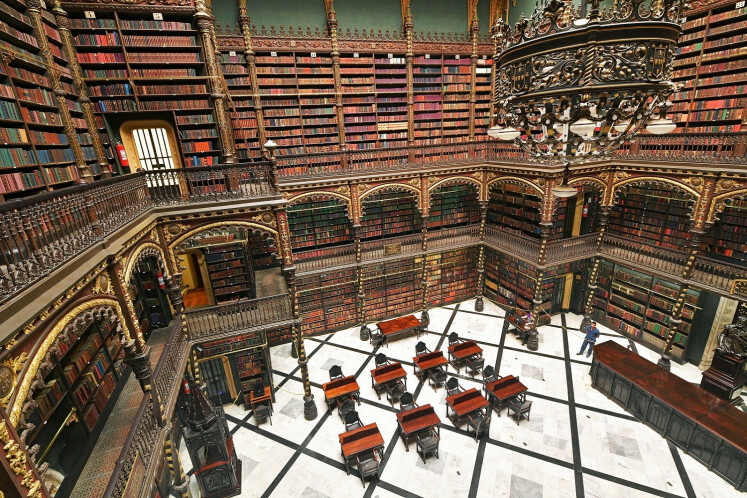 "This is the alma mater of the Portuguese in Brazil -- the reading room is that, and a lot more," Moura told AFP, sitting at one of the dark wooden desks. Brazil's historic connection with its former colonial ruler runs deep. In 1808, Portugal's king and his government made Rio de Janeiro the capital of the Portuguese Empire. Later, the king's son declared independence and made himself the emperor of Brazil. Portuguese remained the country's principal language, and with it a two-way literary culture between the two countries. Today, the Portuguese and Brazilian flags both fly on the library's exterior. Orlando Inacio, 67, manages the place. He too came from Portugal as a boy -- and has never returned. 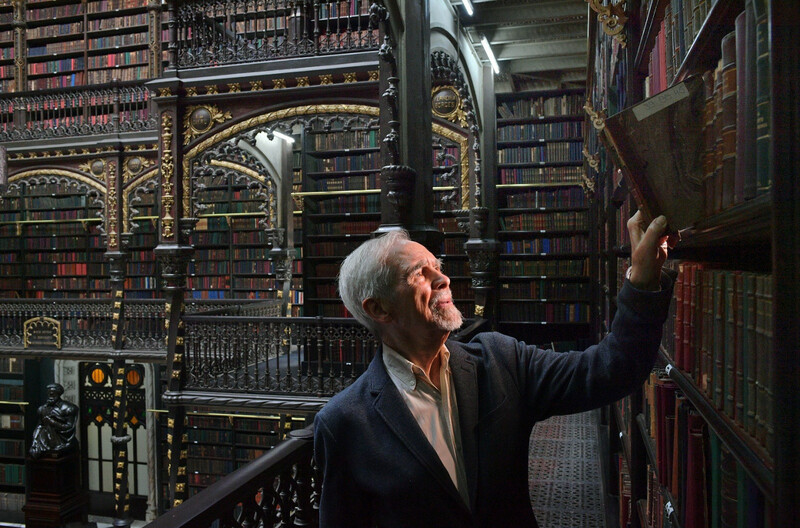 "It's a real point of pride to know that this library created by Portuguese is one of the most beautiful in the world," he said. Giving a bit of its history, he traced the library's roots back to an association of Portuguese immigrants started in 1837. "The aim was to help the immigrants, who in general were little educated, to improve their knowledge, their education," he said.